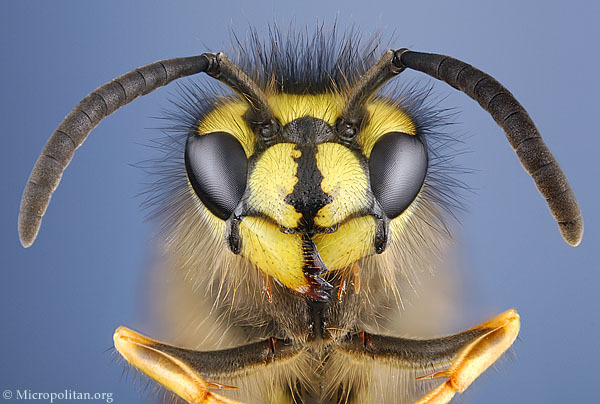 The face of a wasp. It has strong jaws that enable it to cut hard materials like wood. It has long antennae. If you see a wasp with very short antennae it is not a wasp but a hoverfly. See the most fearsome aspect of wasps.